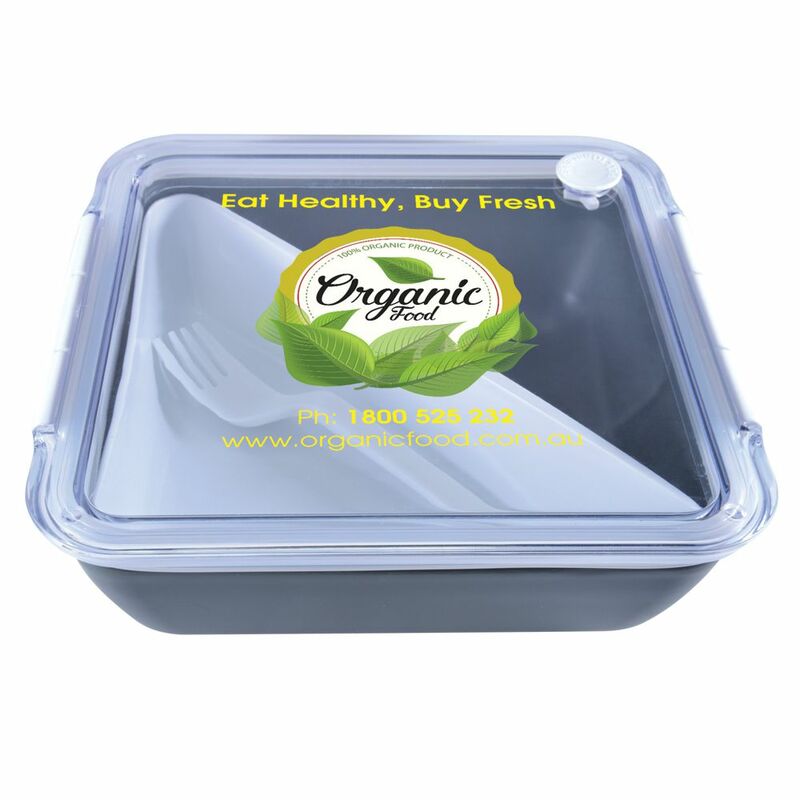 Food / storage container with locking lid. Steam release lid vent. Separate internal tray and eating utensil (spoon- fork and knife in 1). Full colour print pricing.